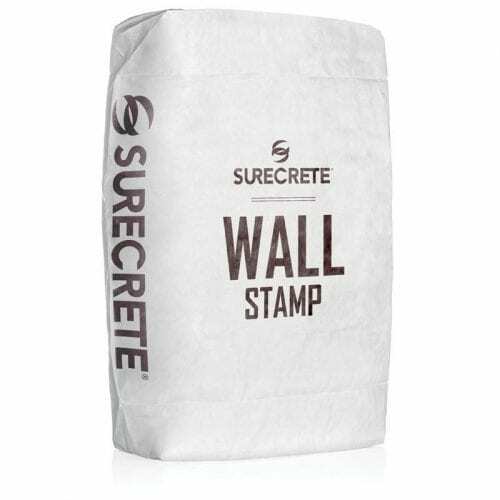 SureCrete’s WallStamp is a concrete wall stamp overlay mix that is stampable and also carvable. 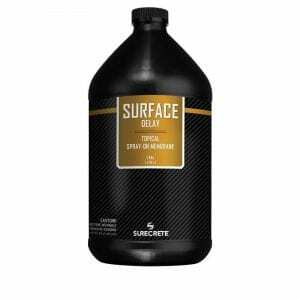 Special formulated for applying on a vertical surface with little to no slumping or sagging at 3/4 inch. Add color to enhance depth and design. SureCrete’s WallStamp™, a concrete wall stamp mix that is a lightweight, single component cement overlay designed for both interior and exterior vertical surfaces. When stamped the texture can resemble an array of designs: cut stone, random stone, brick, slate, etc. Alternatively, Wall Stamp may be textured and “cut” free-hand. It offers restoration, repair, resurfacing, and architectural accenting of existing vertical surfaces. Typical areas include retention walls, entry/accent walls, columns, gable ends, fireplace accents, and any other vertical surface or wall. Wall Stamp™ is formulated to provide excellent bonding to new as well as existing concrete, concrete block, ICF, polystyrene foam, drywall, plaster, plywood, and even painted surfaces. WallStamp™, used in an incredibly diverse array of applications – everything from pre-made stamped texture patterns to custom carved theme park designs and sculptures. With its ability to have great adhesion qualities and decent work time, Wall Stamp provides an excellent alternative to casting conventional concrete on vertical surfaces, especially in regards to custom carving applications. Even if you don’t have the artistic carving skills of a professional artisan, a homeowner can apply the Wall Stamp product without formal training, although we’d probably suggest the utilization of a textured stamping tool. 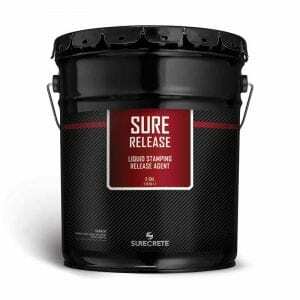 How to Apply SureCrete WallStamp™ Vertical Stamping Overlay mix? Slowly introduce Wall Stamp while continuously mixing and mix for a minimum of 1 minute once all product into a container. Scrape the inside of the bucket to make sure there are no “dry pockets” of material that have not mixed properly. A base coat is always suggested when using Wall Stamp. Trowel a tight thin coat o the substrate, using as much force as can be achieved with a hand trowel. Trowel 100% coverage, leaving no bare spots, a minimum of 1/8″ material. Base coat must not be completely dry or it must be scratched prior to finish coat application. Wall Stamp may be applied in multiple lifts up to 1/2″ thick at a time. As finish coat begins to dry, yielding to one’s finger without sticking, it may be tooled in a variety of ways. How you do it is up to you! Once the surface is dry to the touch, it can accept stains and secondary colorants at this point, and is also ready to receive a sealer. Typical applications would utilize an acrylic sealer such as SureSeal Super 20 or Super WB. Do I have to use a fiberglass mesh? Although any use of mesh will increase strength, required across non-concrete surfaces or concrete surfaces that are cracked and unsound. Is there a limit to how far I can build out Wall Stamp? Technically yes, but only while it is still workable – at about 3″, the level of the slump will out the weight it’s adhesive properties. And of course, you must always consider the product placed on the substrate by adding more Wall Stamp™. Can I mix Wall Stamp to great batches? While mixing large batches can be done, it is important never to mix up more than can be applied within a 45-minute time frame. Although any use of mesh will increase flexural strength, it is only required across non-concrete surfaces or concrete surfaces that are cracked and unsound. Technically yes, but only while it is still workable – at about 3″, the level of slump will out the weight it’s adhesive properties. And of course, you must always consider the weight being placed on the substrate by adding more Wall Stamp. Can I mix Wall Stamp in large batches? While mixing in large batches can be done, it is important never to mix up more than can be applied within a 45-minute time frame.